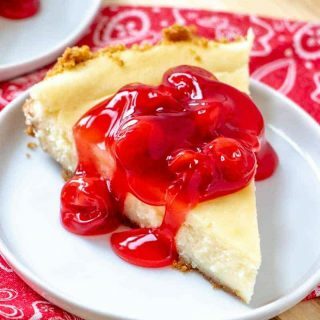 This is one of our new favorite recipes – full of moist delicious cherry flavor! 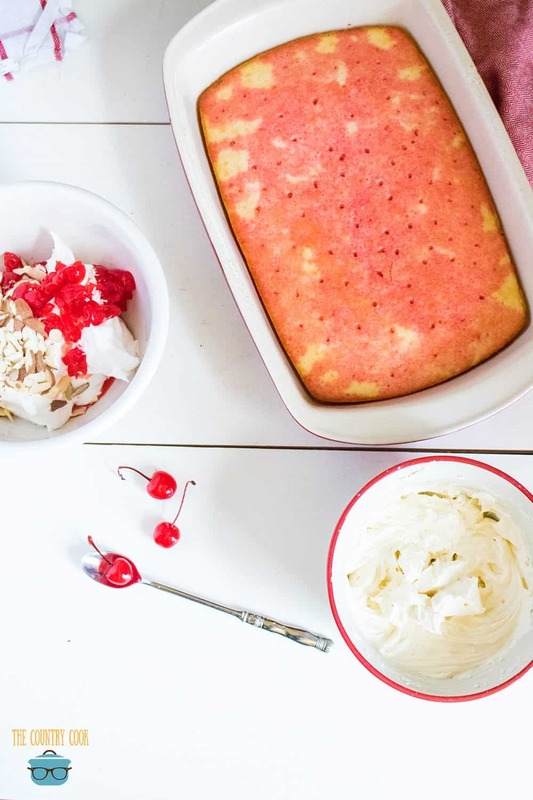 This cherry almond poke cake is so sweet and incredibly delicious. Did I use the word “moist” enough for ya? Ha! I read somewhere that a lot of people think the word ‘moist’ is one of the top worst-sounding words. It is literally offensive to some people’s ears. But I can’t think of how else to describe a cake. I need a thesaurus apparently. Maybe, incredibly soft? Tender? That sounds like a pillow though! LOL. Do you have a word that drives you nuts like that? That is my mantra. I’ve been churning out these babies for years and there are endless combinations! 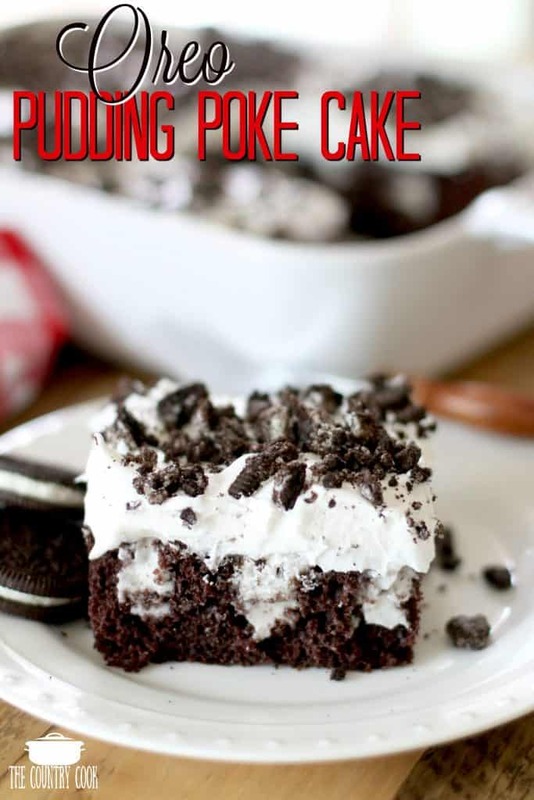 I’m a huge cake fan and let me tell you – this poke cake is no exception! 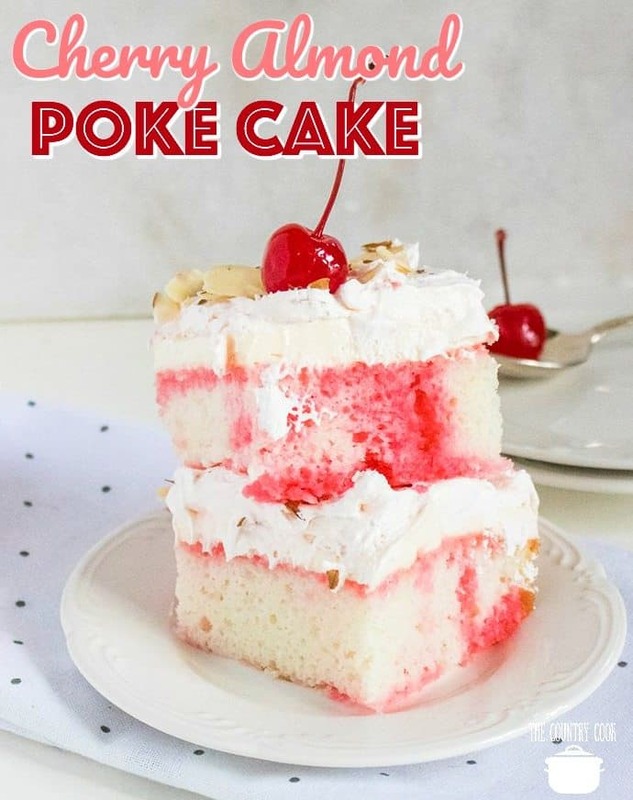 The only thing better than your ordinary cake, is poke cake. 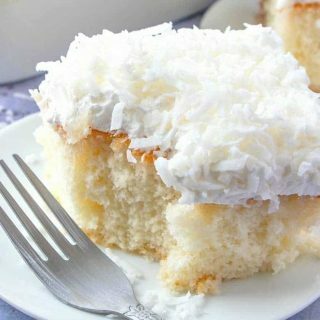 You’ve got the easy convenience of a cake mix, but with a boost of added flavor soaked right in with every bite. 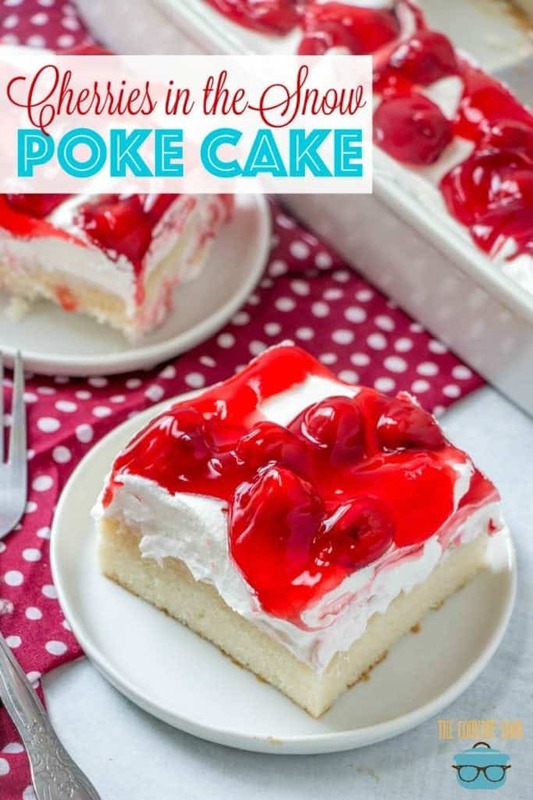 The cherry in this poke cake is absolutely to die for! Between myself and the fam jam… it was gone pretty quickly! It’s safe to say I’ll be making this one on the regular from now on! It reminds me of a simpler version of our wedding cake. Hope you love it too! 2 blocks (16 ounces) cream cheese, softened to room temp. Bake the cake according the package directions. Allow it to cool completely. 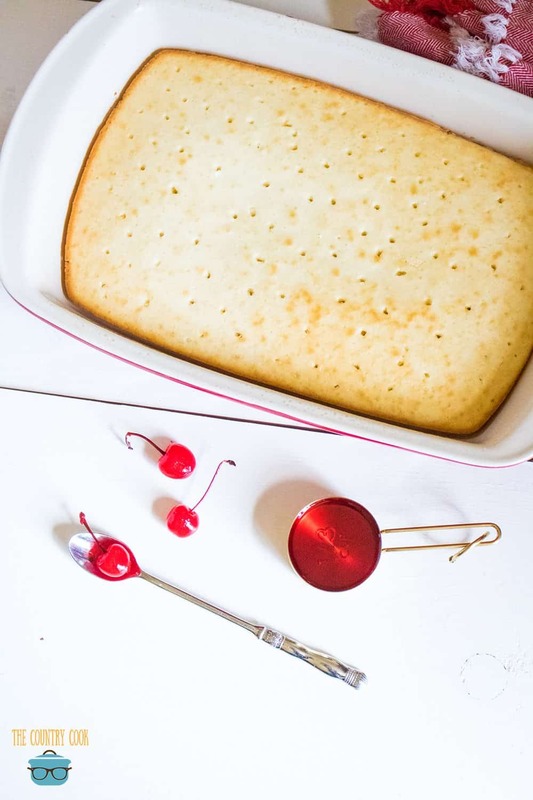 Once cooled, poke holes in the cake using a fork or wooden skewer. 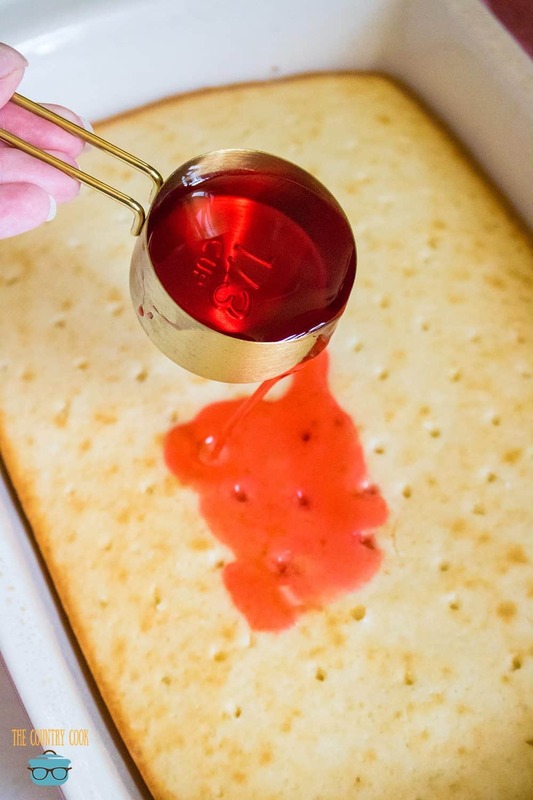 Pour the maraschino cherry syrup over the holes in the cake, allowing the syrup to be soaked up. 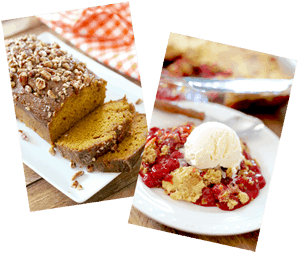 Mix together the softened cream cheese and powdered sugar, using an electric mixer. 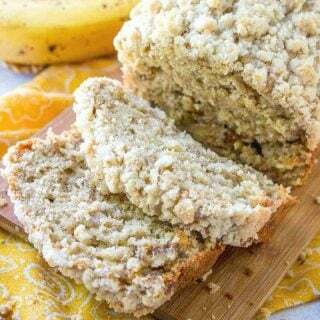 Mix in the almond extract and almond milk. 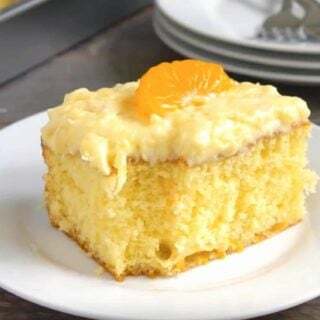 Spread the cream cheese mixture over the top of the cake. Mix together the whipped topping, chopped cherries, and half of the almonds. 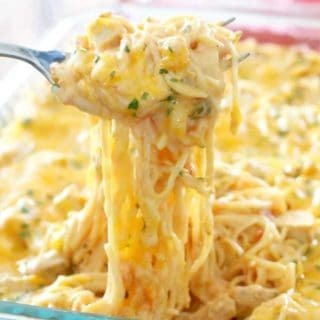 Spread on top of the cream cheese mixture. Finally, top with remaining almonds and refrigerate for at least an hour before serving. 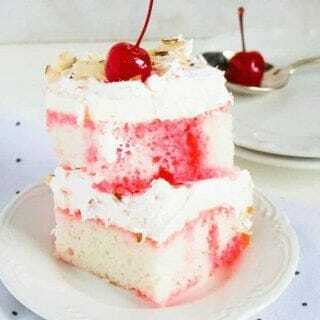 Cherry Almond Poke cake is so easy and delicious! 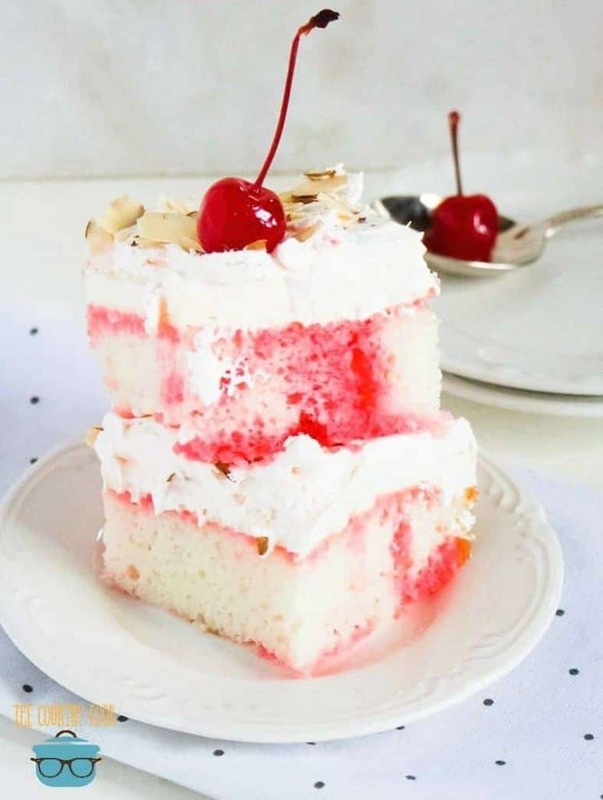 Made with a boxed cake mix, maraschino cherries, maraschino cherry juice, cream cheese, and Cool Whip. Bake the cake according the package directions. Allow it to cool completely before the next step. Once cooled, poke holes in the cake using a fork or wooden skewer. Mix together the cream cheese and powdered sugar, using an electric mixer. Stir in the almond extract and milk. Spread the cream cheese mixture over the top of the cake. 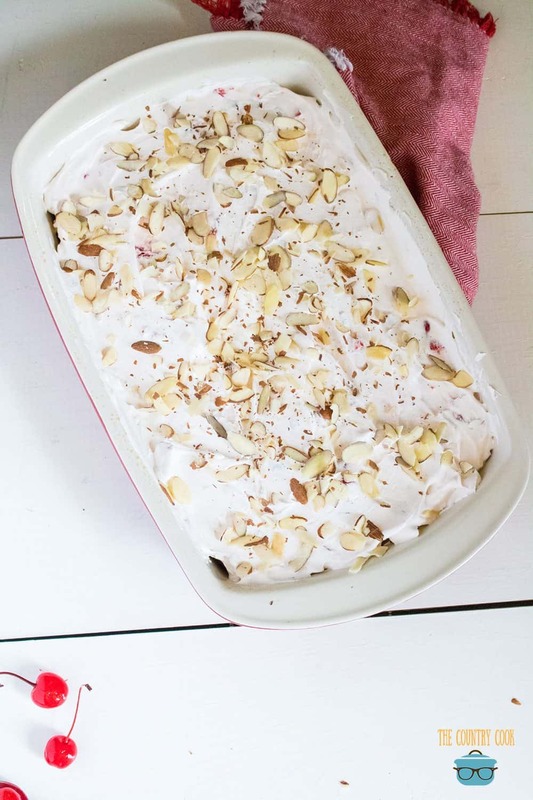 Mix together the whipped topping, chopped cherries, and half of the silvered almonds. Spread on top of the cream cheese mixture. 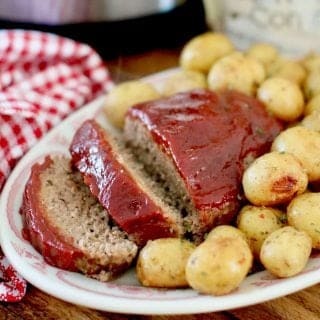 Top with remaining almonds and refrigerate for at least an hour before serving. 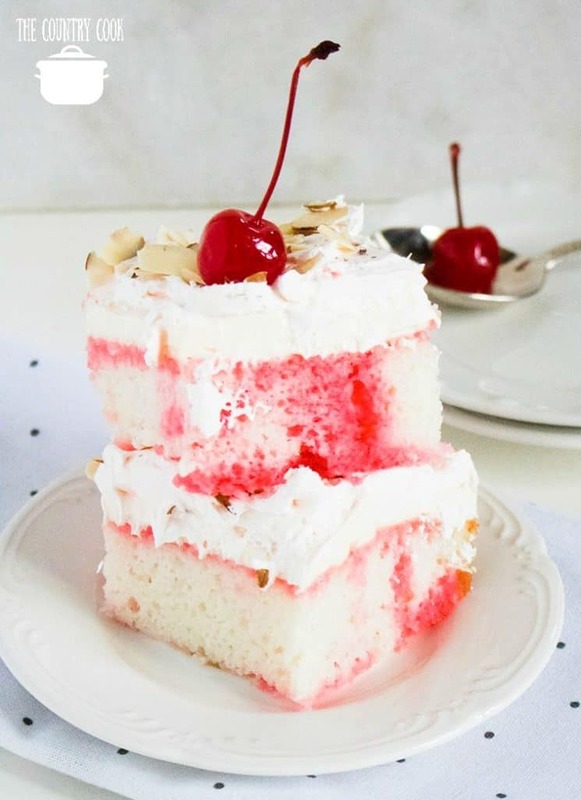 Is there an option to print the cherry almond poke cake that I’m not seeing? 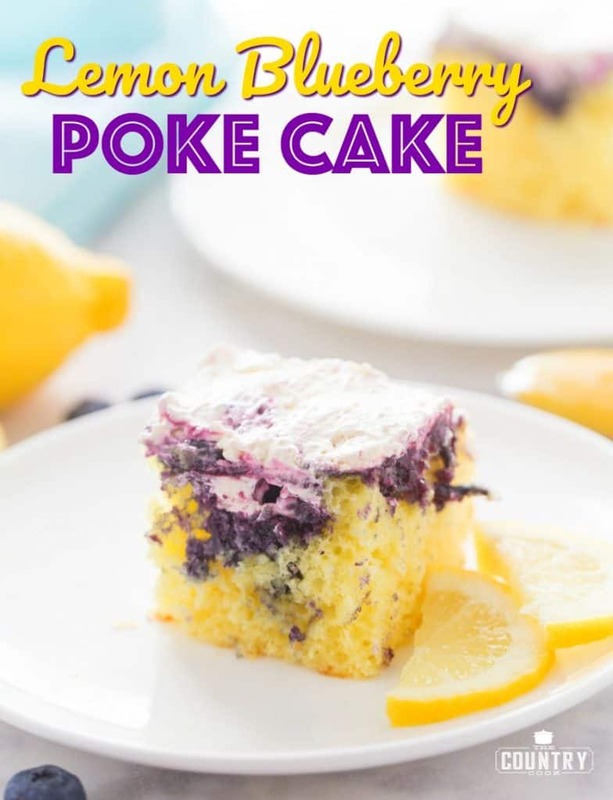 I just kept scrolling past the picture of the Lemon Blueberry Poke Cake and the recipe was there for printing.